Prince George, B.C. 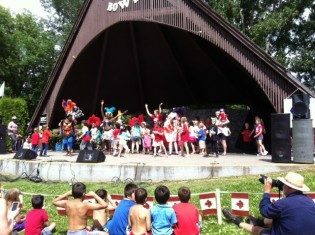 – Around 12,000 people are expected to participate in Saturday’s 44th annual Canada Day celebration at Lheidli T’enneh Memorial Park. Organized as always by the Multicultural Heritage Society, there will be plenty on offer says executive director Marlies Greulich. New this year will be a beach volleyball tournament, a celebration of Canada’s 150th birthday babies plus plenty of kids’ activities and fireworks at 11 p.m. atop Connaught Hill. The fun goes from 11 a.m. to 6 p.m. Opening ceremonies start at noon and include the serving of Canada’s birthday cake. Greulich says they could use more volunteers too. If you’d like to help call 250-563-8525. 12,000 people in the park? No thanks. I’d rather spend the day at the lake.